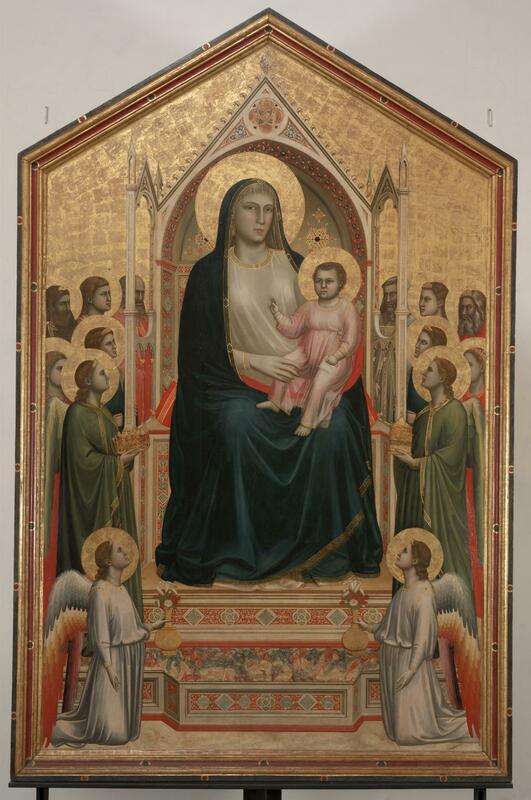 Commissioned by the Humiliati of the Church of All Saints in Florence in 1305-1310, the great altarpiece (325 x 204 cm) was restored in 1990-92 by Alfio Del Serra. Thanks to the mention by Ghiberti in his Commentaries (1450), the authenticity of Giotto's painting has never been in doubt. 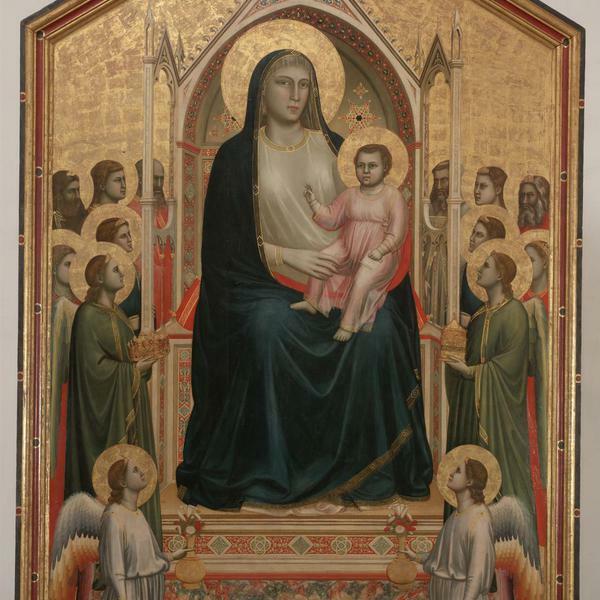 It is now believed that the work was painted by the Florentine maestro immediately after his return home after his stay in Padua, during which he frescoed the famous Chapel of Enrico Scrovegni in 1303-1305.